Click to read a recap of each session and view photos. 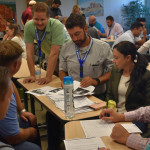 The Connect Class of 2019 began with their first session on September 19-22 in Los Alamos. 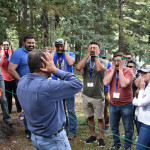 The program began with lunch and tour of the Valles Caldera, followed by a welcome dinner hosted by Roger Waterman & Emily McGay, Core Class of 2006 and 2009, respectively. 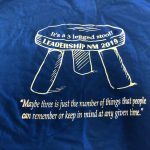 On Thursday at Pajarito Mountain Ski Lodge, the class participated in introductions and a personal leadership skill building workshop with Phil Bryson, On the Edge Productions. The day concluded with dinner at the Bandelier National Monument. 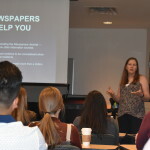 On Friday, the class heard presentations on a variety of subjects from respected experts in their field at the University of New Mexico, followed by dinner at Bradbury Science Museum. 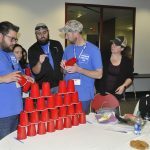 The session concluded on Saturday with more presentations at the Los Alamos County building. 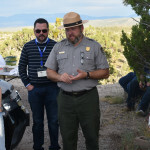 Thank you to the following Sponsors of the Los Alamos Session: Bandelier National Monument, COMPA Industries, Inc., Crystal Springs Bottled Water, Janet Blair Consulting, Lexus of Albuquerque/Lexus of Santa Fe, Los Alamos County, Los Alamos National Bank, Los Alamos National Laboratory, Los Alamos Security, Phil Bryson – On the Edge, Ltd., TechSource, Inc., and University of New Mexico. 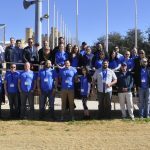 The Connect Class of 2019 met for the second time in November in Las Cruces. 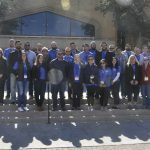 The program began with a Golf Clinic at the NMSU driving range and was followed by dinner at La Posta de Mesilla Restaurant, which was hosted by Jerean Hutchinson, 2001 Core Program Graduate and Lifetime Member and Tom Hutchinson. 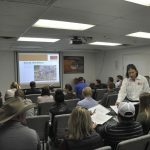 On Thursday, the class participated in a tour and Command Brief of White Sands Missile Range followed by presentations on a variety of topics from respected experts in their fields. The day concluded with dinner at Allen Theatres’ Launchpad Cafe. 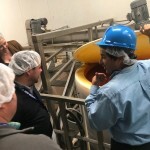 On Friday, the class heard more from industry experts on critical issues facing New Mexico, and toured Cervantes Chile Processing facility, hosted by Dino & Leslie Cervantes, Core Class of 2018. The day closed with dinner at the Bobby Lee Lawrence Academy of Wine – Gerald Thomas Hall. 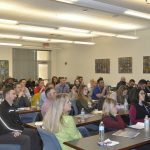 On Friday, the final day of the session, the class met at the Burrell College of Osteopathic Medicine to continue learning from speakers. Thank you to the following sponsors of the Las Cruces Session: Allen Theaters, Burrell College of Osteopathic Medicine, Crystal Springs Bottled Water, La Posta de Mesilla Restaurant, Las Cruces Machine Manufacturing & Engineering Co., Stubbs Engineering, Lexus of Albuquerque/Lexus of Santa Fe, New Mexico State University, and STS of New Mexico. 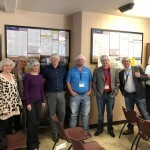 The final program session of 2019 was held in Roswell. The program began with a tour of Dean Baldwin painting and was followed by a tour and dinner at Stewart Industries International. On Wednesday, the class gathered at Roswell Museum and Art Center to hear from speakers on topics relating to municipal, county, and state level issues and structures. Thursday’s educational component was held at Chaves County Administration Building and featured speakers on the topic of education, including K-12 and higher ed. 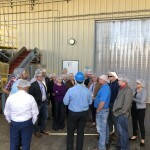 The class then toured Leprino Foods and Three Amigos Dairy. Dinner that evening was held at the home of Bill & Sandra Davis. 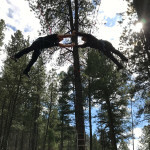 Friday’s activities included team building exercises at the New Mexico Military Institute led by Phil Bryson. The group then toured and had dinner at the Anderson Museum of Contemporary Art with their graduation ceremony following! Thank you to the Sponsors of the Roswell session: Anderson Museum of Contemporary Art; Bill & Sandra Davis; Carr, Riggs, and Ingram CPAs and Advisors; Crystal Springs Bottled Water; Desert Sun Auto Group; Dean Baldwin Painting; Eastern New Mexico University – Roswell; Leprino Foods; New Mexico Manufacturing Extension Partnership; New Mexico Military Institute; Roswell Chaves County Economic Development Corporation; and Three Amigos Dairy. Pay dues to renew your membership with the Alumni Program via PayPal.